The United States Military Academy Class of 2015 graduation and commissioning ceremony was held on Saturday, May 23, 2015 in West Point's Michie Stadium where General Martin E Dempsey, Chairman of the Joints Chiefs of staff was the commencement speaker. 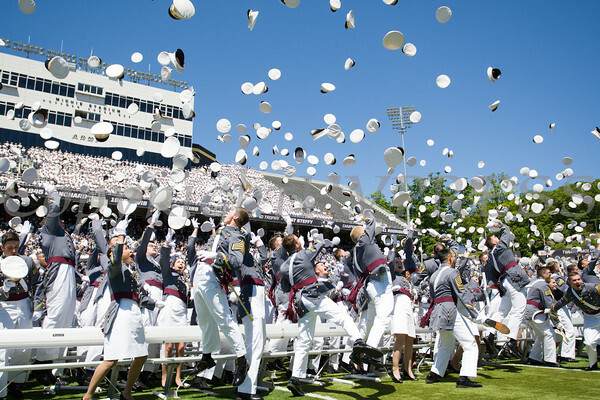 Cadets toss their hats following the United States Military Academy Class of 2015 graduation and commissioning ceremony on Saturday, May 23, 2015 in West Point's Michie Stadium. Hudson Valley Press/CHUCK STEWART, JR.